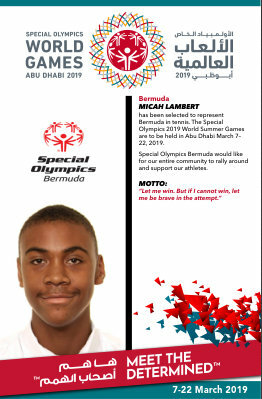 Today we bring you Micah Lambert who has been selected to represent Bermuda in Tennis. “Let me win. But if I cannot win, let me be brave in the attempt.